This is closed, but I won't delete it, because I might post in the future. Available only until June 18, 2012. If you are from the US, log in click here and save a scenery. If you are from anywhere else, you will need to use Stealthy (how? Click here). Type United States for Chrome and US for Mozilla. 2. Log into your Stardoll account. 5. The dress should be in a Starplaza bag in your suite. Available only until June 13, 2012. 5. The skirt should be in a starplaza bag in your suite. 1. Click here and log into your Facebook account. 2. Click here and like Stardoll's Facebook page if you haven't done so. 3. Now that you "Liked" it, click here. 4. You should see the gift-o-meter. Click the Accept this gift button next to the dress. 5. You will be redirected to the Stardoll game. The boots should be in a Facebook "Like" bag in your suite. 1. Click here and log into your Stardoll account and here and log into your Facebook account if you haven't done so already. 2. Click here and scroll to the bottom of the page until you see the connect to Facebook thing. Click the button. A window should pop-up, but it should disappear (that's what happened to my fake account, not sure about you guys though). You will need a photo for this, and it's only available until May 29, 2012. You can choose more here, instructions on how to activate flash included. 3. Log into your Stardoll account. 6. The swimsuit should be in a Starplaza bag in your suite. Available only until May 29, 2012. 6. The dress should be in a Starplaza bag in your suite. 4. The doll and TV should be in a Starplaza bag in your suite. 6. The book should be in a starplaza box in your suite. You will need a photo for this, and it's only available until May 27, 2012. If those proxies don't work, instructions on how to turn on flash for proxies without it are given here. 6. The accessory should be in a Starplaza box in your suite. 3. You might not be able to see anything, but you should know that the blank spot of the page is a campaign for Snow White and the Huntsman. Close the tab/window. 4. The cape should be in a Snow White and The Huntsman bag in your suite. 1. Click here and log in if you haven't done so. 2. Wait until you think the page has fully loaded, then close the tab/window or go to your suite. 3. The bag should be in a giftbox in your suite. Available only until May 23, 2012. 6. The balloons should be in a starplaza box while the ribbon should be in a giftbox in your suite. You will need a photo for this, and it's only available until May 16, 2012. 2. Log in if you hadn't done so. 4. The shirt should be in a starplaza bag in your suite. 3. Scroll down a bit and you should see a pair of earrings in a jar. Click on them. 4. You should be redirected to the Arrietty Campaign Page. Click here. 5. Scroll down a bit and you should see a sugar cube in a jar. Click on it. 6. You should be redirected to the Arrietty Campaign Page. Click here. 7. Scroll down a bit and you should see a roll of brown thread in a jar. Click on it. 8. You should be redirected to the Arrietty Campaign Page. Click here. 9. Scroll down a bit and you should see a teapot in a jar. Click on it. 10. You should be redirected to the Arrietty Campaign Page. Click here. 11. 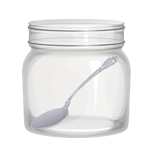 Scroll down a bit and you should see a spoon in a jar. Click on it. 12. You should be redirected to the Arrietty Campaign Page. Close the tab/window. 13. The dress should be in a starplaza bag, the shoes in a starplaza box and the hairclip in a large starplaza box in your suite. 5. The doll and speech bubble should be in a starplaza box in your suite. This works only if you follow PROPERLY all the instructions mentioned below. 3. Click the Green Sign Up Here! button. 4. You should be redirected to the Piccing site, where a sign-up form has been prepared with your username on it. If your username is NOT on the sign-up sheet, try clicking the button again. It will only work with your username on it. 5. You can choose between signing up manually or signing up using your Twitter or Facebook account. If you choose to sign up manually, remember to register a fake but possible email, such as 12345@yahoo.com and to change a letter or two from your username if you signed up for the all previous dresses. 6. Once you are done signing up, a menu of photos should appear. Close the tab/window. 7. The shoes should be in a Piccing bag in your suite. 2. Click Create My Wishlist. 3. Enter 2 names and a valid email address (such as 12345@yahoo.com) in the corresponding boxes and click (again) Create my Wishlist. 4. The doll should be in a Starplaza box in your suite. 3. Click Create My Wishlist. 4. Enter 2 names and a valid email address (such as 12345@yahoo.com) in the corresponding boxes and click (again) Create my Wishlist. 6. The doll should be in a Starplaza box in your suite. Available only until May 17, 2012. Available only until May 7, 2012. 4. The flowers should be in a starplaza box in your suite. You will need a photo for this, and it's only available until May 11, 2012. Enable Flash by clicking Options > Uncheck Remove Scripts > Uncheck Remove Objects. 6. The wreath should be in a starplaza box in your suite.